NNAMDI KANU'S CASE: HAS ECOWAS COMMUNITY COURT BEEN COMPROMISED? 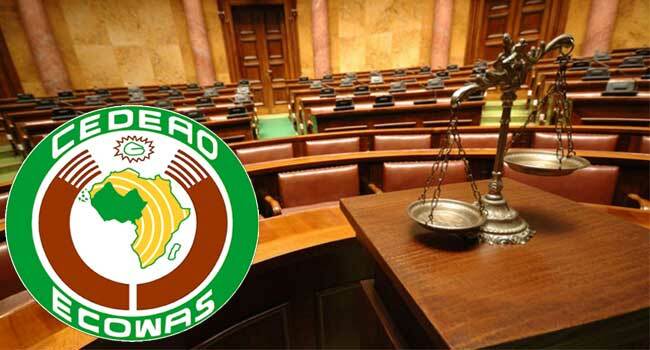 The ECOWAS Community Court of Justice was created by a protocol signed in 1991 and was later included in Article 6 of the Revised Treaty of the Community in 1993. However, the Court did not officially begin operations until the 1991 protocol came into effect on 5th of November 1996. The jurisdiction of the court is outlined in Article 9 and Article 76 of the Revised Treaty and allows rulings on disputes between states over interpretations of the Revised Treaty. It also provides the ECOWAS Council with advisory opinions on legal issues (Article n10). Like its companion courts, the European Court of Human Rights and East African Court of Justice, it has jurisdiction to rule on fundamental human rights breaches. ECOWAS community court was instituted for the fostering of trust and the adjudication on the human rights of the member states. Ecowas courts was also established in order to checkmate the violation of the rights of the member states. That is, if there is any violation of any person's human rights or any state which tries to undo the other through military power. The court comes in to mediate and profer justice, then fines the offender or intruder. A country can sue other country when it's rights are infringed upon; also an individual can sue his country if his rights are denied him. This is with a view of getting justice. These are but few of the principles for which the court were established. Today, in the case of the Leader of the Indigenous People of Biafra (IPOB), Mazi Nnamdi Kanu whose rights have been grossly violated and the inability of Citizen Nnamdi Kanu to get justice from the Nigerian courts, he has approached the said regional court to seek justice. Instead,the regional Court which is meant to checkmate the excesses of the Nigerian government led by Muhammadu Buhari against Citizen Nnamdi Kanu 's right, have be manipulated to succumb to the dictates of the tyrant reign of Nigeria. A regional Court, which is supposed to uphold justice by its mandates, is now dumb , watching helplessly, while the Nigerian government is killing and destroying the life of the Indigenous People of Biafra, who are seeking for Self Rule. The leprosy hands of the murderous Nigeria government has infected the Regional Court of Economic Community of West African States, and can no longer serve justice. It has now become an expert in adjournments of Cases that is brought before it to be determined. Oh what a Shame! The regional Court of ECOWAS is now conniving with the Corrupt Nigeria government in suppressing the right of the Leader of Indigenous People of Biafra, what a paradox. This is a fulfilment of an adage which says " the place of Justice has become the gathering of Wickedness ". The Regional Court of ECOWAS is now for sale to the highest bidder , in this case Nigeria has paid for it and justice is about to be perversed. I am appealing to the world Leaders of conscience to rise up and prevail the ECOWAS regional Court to stop this play of wickedness and to stand on the principles for which it was established in the year 1991. I am also calling the leaders of conscience in Africa to stand up to be counted now. Let every conscientious men speak out now with boldness against the ECOWAS Court, which is about to perverse justice and sales it to the highest bidder. Darkness is about to triumph in Africa should ECOWAS regional court deny citizen Nnamdi kanu justice. The ECOWAS Court should be a place where men of repute and integrity are allowed to dispense justice without interference. We are patiently waiting for justice to prevail..
Justice delayed is justice denied....!! !